MORRIS, PATRICK, merchant, shipowner, farmer, author, politician, and office holder; b. probably c. 1789 in Waterford (Republic of Ireland); m. 26 April 1814 Mary Foley in Harbour Grace, Nfld, and they had one daughter; m. secondly 1830 Frances Bullen in Cork (Republic of Ireland), and they had four sons and two daughters; d. 22 Aug. 1849 in St John’s. Patrick Morris came to St John’s around 1804 to work as a clerk for Luke Maddock, a Waterford merchant and possibly a relative, who had settled there a quarter-century before. Like that of most Irish-Newfoundland merchants Morris’s social background remains obscure, but it was modest and he brought little or no capital from his homeland. Maddock typified the expanding Irish trading community in late 18th-century St John’s. His business was small, focusing on the importation of provisions from Waterford and manufactures from Liverpool, largely in English vessels. His clientele were Irish Catholic planters, artisans, and servants in the town and nearby outports. Maddock also operated a shop and tavern in the centre of town, sublet tenements to fellow immigrants, and ran a farm. Within the relatively short span of six or seven years Morris had apparently accumulated enough expertise, capital, and connections to launch an independent trade. He leased premises on the waterfront in 1810 and quickly organized a business modelled on that of his former employer, whose demise shortly afterwards probably left Morris with an established clientele. Morris entered mercantile trade on the crest of a boom in the cod economy. Supplies and wages were high but so were profits. Passengers from Ireland, the main overseas source of seasonal labour, increased in concert with the volume of supplies. St John’s, moreover, controlled much of this inflated traffic. By the time Morris entered mercantile trade, four-fifths of all shipping to the island docked there. From its inception his trade centred on the importation of passengers and provisions from his native Waterford and the return of cargoes of cod and oil. 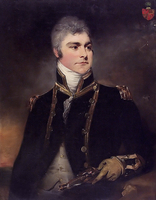 For his vessels Morris initially relied largely on shipowners from Teignmouth, in England, but he purchased a brig in the fall of 1814, another in 1819, and two more deep-sea vessels by 1825. His pattern of trading was typical of Irish merchants resident in St John’s at this time. Waterford was the focal point of transatlantic trade, but it gradually faded as a profitable source of supplies. Morris then sent his ships to Cork and Liverpool, and after 1825 to Hamburg (Federal Republic of Germany) and Danzig (Gdańsk, Poland) where, he reported, prices for foodstuffs were only half those in British ports. Morris did not restrict himself to the fishery. St John’s, built almost entirely of wood, was expanding and there was a boom in construction, particularly following the fires of 1816 and 1817. He imported timber from St Andrews and Miramichi, in New Brunswick, and later sent his ships to these ports and Quebec to carry it direct to Waterford. There he loaded his vessels with brick, limestone, and slate for St John’s. He also imported a wide range of household goods, mainly from Liverpool, and coal from Sydney, N.S., and British ports. St John’s was not only the primary centre for the redistribution of imported supplies and passengers but also the hub of the island’s export trade. Commerce with the outharbours was based on credit and barter; merchants advanced supplies to planters in the spring in exchange for a pledge of fish and oil in the fall. Morris announced as early as 1812 that he would follow this arrangement. His trading territory outside St John’s was primarily the shore south of the town, by now heavily Irish, and the populous Conception Bay. At the latter place he established an informal partnership with a fellow Waterford merchant, Thomas Foley of Harbour Grace, whose daughter he married in 1814. By the mid 1820s Morris had five coasting schooners, reserved largely for out harbour trade. In winter these were usually sent sealing, an industry he believed had considerable potential. In 1832, for example, he dispatched six schooners, averaging 75 tons, with 132 sealers to the ice. These men, almost all Irish, paid Morris 30 shillings each for a berth and were given supplies and half the catch. His captains were paid £5 a month plus a bonus for every pelt. At the peak Morris shipped over 10,000 sealskins to the London market in one season. He also operated a schooner fishery at a room he held in Labrador. Every May he sent a ship, usually one back from sealing, with a crew of six men and supplies to fish in this remote harbour. Once dried, the fish was taken to St John’s and the schooner then returned for a second cargo. Morris used kin extensively on both sides of the Atlantic to help coordinate his trade. One brother, James, and their brother-in-law Robert Kent formed a partnership in Waterford in 1813 to supply passengers and provisions and to handle imports of cod and oil. Another brother, Simon, a trader in Waterford, came to St John’s in 1828 to work with Patrick along with two sons of James Morris and four sons of Robert Kent. Simon’s son Edward* arrived in 1832. James Kent became Morris’s partner in 1828 but later returned to Waterford as partner with his brother John Kent*, who established in St John’s an independent trade identical to that of Morris, his uncle. With his intimate Waterford connections and his knowledge of the local labour market in St John’s and its hinterland, Morris was in a good position to prosecute the passenger trade. Prior to his purchase of a ship he had acted as a migration agent for Irish merchants. He charged a five per cent commission for collecting passage money and remitting it to Ireland. By 1815, the peak year of Irish migration to St John’s, he was carrying people out and home on his own ship. He also acted as agent for two other vessels with passengers from Waterford and advertised these vessels as taking freight and passengers to Halifax and Miramichi. In September he served notice to all who had come out that spring “to pay their passage money on or before November 10 or their bail notes will be sent back to Waterford for collection.” For a time he was the leading merchant in the passenger trade. Virtually every year between 1815 and 1835 advertisements appeared in the St John’s or Waterford papers announcing the departure of his ships. By 1819, having moved into the timber trade, he took emigrants direct from Waterford to Saint John, Miramichi, and Quebec. Morris built up his business at a time when many established houses in St John’s were giving up because of the economic recession that followed the Napoleonic Wars. He was one of several young merchants or traders who moved in to fill the vacuum. By 1820, his trade firmly established, he was determined to protect and enhance it. He tended to lay the blame for Newfoundland’s woes on the government. France and the United States had been granted generous concessions in Newfoundland waters after the war. By 1822 they accounted for two-thirds of the fishery. During the war Newfoundlanders had conducted a profitable inshore fishery in areas abandoned by the French, especially in the north, but their expansion had been blocked with the return of the French. Unlike France, Britain offered few financial incentives to the fishermen and even imposed duties on breadstuffs from the United States. Morris accepted the view that the fishery was the key to Newfoundland’s economic growth, but he also argued all his life that the colony could not prosper without the development of a local agriculture. He accused the large merchant houses of deliberately misleading government regarding the unsuitability of Newfoundland for commercial farming in order to protect their import trade in food. Morris maintained that food prices were too high, a serious handicap to the growth of a profitable planter fishery. A reduction in the cost of cod production through the development of a local food supply would benefit both fisherman and exporting merchant. Morris was willing to put his theories to the test. In 1823 he acquired a farm just outside the town and by 1836 had 40 acres “in a high state of cultivation” with extensive outbuildings and a handsome cottage, his family residence. He leased a second farm of 50 acres near by to an Irish tenant. Morris viewed the growth of farming as an Irish phenomenon, occurring mainly in those areas with which he was most familiar through trade. As a leading importer of Irish servant labour, the president of the Benevolent Irish Society and the Agricultural Society, and from 1836 to 1840 a member of the House of Assembly he was in a pivotal position to promote farm settlement. Morris, however, greatly exaggerated the prospects for farming and the government’s resistance to it. Long before he settled in St John’s the government had responded to the problems of a precarious food supply by granting small plots to the military and civilians for subsistence cultivation. Senior military personnel were awarded large grants for commercial farms. Indeed one of these, given to Captain Thomas Skinner* in 1792, was the farm acquired by Morris in 1823. Regulations regarding squatting were relaxed during the war and civilians secured grants to commence commercial farming. All these advances were important, according to Morris, in warding off poverty during the post-war recession and he cited them as precedents when he began his campaign to promote agriculture after 1820. Twenty years of agitation brought some progress. Governor Thomas John Cochrane*, who shared his enthusiasm to a degree, introduced a road-building program and set an example by developing a farm of his own. A few merchants followed suit but most were sceptical, dismissing Morris’s views on agriculture as “visionary and utopian.” By 1840, however, Morris could point to 300 commercial farms established in the environs of St John’s alone, and to expanding pockets of agriculture in other parts of the island. The political struggle to win government support for local agriculture was part of a broad movement for general reform. Between 1800 and 1820 Newfoundland was transformed from a predominantly transient fishing society to a largely permanent community. But its governance remained outmoded, with institutions fashioned for a migratory fishery. One example was the judicial system, which Morris deemed absurd. Civil cases continued to be adjudicated by surrogates, many of them still drawn from the navy patrolling the coast each summer. Although they were appointed by the governor many were, in the opinion of Morris and the reformers, unqualified and unfit to serve as judges. They were seen as successors to the “illiterate admirals” who, hand in glove with the West Country merchants, had for centuries held the fishermen in servitude. Two cases of rough justice meted out by surrogates finally brought Patrick Morris on to the public stage. They concerned a pair of fishermen in Conception Bay, James Lundrigan* and Philip Butler, who were unable to erase their debts and in July 1820 were flogged for resisting the confiscation of their properties. With the support of the reformers the two men sued the surrogates involved, Commander David Buchan and the Reverend John Leigh*, but the charges were dismissed. A meeting, chaired by Morris, was held in St John’s to protest what he called “flagrant acts of cruelty and injustice.” Those attending agreed to pay the fishermen’s court expenses and provide for their families through the winter. They agreed also to pursue every legal and constitutional means to have the laws that permitted the appointment of such surrogates repealed. In November 1820, at a second public meeting, a committee of inhabitants with Morris at its head was appointed for this purpose, and a memorial signed by 180 residents was drawn up for presentation to Governor Sir Charles Hamilton. Apart from the Conception Bay incident, examples of the surrogates’ incompetency were cited and other grievances outlined, including an unjust tax on fishing boats, the delay in providing an act to guide rebuilding in St John’s after the fires, and the lack of a local legislature. Some of the seeds of the liberal reform party that came to dominate much of the political life of Newfoundland for a generation are discernible in this protest. Eight of the thirteen members of the committee were Irish, most remained politically active, and some, such as Patrick Doyle* and Thomas Beck, were involved with Morris in party politics for a lifetime. Eighty per cent of those signing the memorial were Irish and included almost all the merchants and traders and many of the shopkeepers, publicans, and leading artisans of that nationality then resident in the town. The reformers were ignored by the British merchants who dominated the commerce of St John’s. But Morris had the support of some liberal Protestants such as his close friend Robert Roberts Wakeham, and the most important member on the committee was the Scottish doctor William Carson. For almost a decade Carson had been involved in agitation for reform and he was Morris’s mentor. Indeed most of the grievances and possible solutions articulated by Patrick Morris through the 1820s had already been publicized by Carson. Although numerically dominated by the Irish, the movement for reform precipitated by the surrogates had neither an ethnic nor a sectarian character. The four constables delegated to eject the fishermen were Irish and Lundrigan’s trial was conducted in an Irish planter’s home at Port de Grave. The sheriff, surrogates, judge, and jury were all Protestants, but there is no reference to this fact nor is there any explicit demand for Catholic rights in Morris’s copious writings on disadvantaged Newfoundland through the 1820s. He was motivated primarily by a deeply held conviction that the judiciary was despotic. Even before Carson arrived in St John’s in 1808 Morris had deprecated the local magistrates and justices in private correspondence. Governor Hamilton forwarded the inhabitants’ memorial to the Colonial Office even though he opposed it, and it was presented to the House of Commons. The response from London was inchoate, but this was the first time in three decades that Newfoundland’s institutions had been debated in parliament, and the reformers responded by preparing a more comprehensive submission in 1822. Very much the product of Morris and Carson, it included a summary of the problems besetting the British fishery, an argument for agricultural development to ward off poverty and stem the tide of migration to the United States, and a call for institutional reform. In November 1823 Morris presided over what he described as “the most numerous and most respectable meeting ever held in St. John’s,” to consider the details of a British bill “on the better administration of justice in Newfoundland.” London’s ideas were largely rejected and a list of specific demands submitted. They included the introduction of qualified judges, a police force, a constitutional authority to direct local expenditure, and the removal of all restrictions on agriculture. The 1820 committee was expanded to include 14 new members, all British and some from respectable merchant houses. Their sudden interest was a response to the threat that an appointed council might be created to govern St John’s. Morris, who was going to Waterford for the winter, was persuaded to go on to London and help their barrister “urge the reasonableness” of the petition. He arrived in March 1824 and over the next two months frequently saw Robert John Wilmot-Horton of the Colonial Office, with whom he had heated debate over the committee’s proposals. He also met members presenting and supporting the bill in both houses of parliament. To bolster Newfoundland’s case and stave off “the most vile conspiracy” of some conservative cod merchants Morris completed and published his first pamphlet while in London, addressed to the secretary of state for the colonies. The efforts of the reformers were finally rewarded with the judicature act of 1824. It was something of a landmark in Newfoundland legislation, belated recognition by government that the island was a settled colony and that the migratory fishery was over. The surrogate system was replaced by circuit courts with qualified judges; the Supreme Court was revised and enlarged; and a civil governor with rights to grant crown land for agriculture was appointed. Under Carson’s tutorship Morris had orchestrated the inhabitants’ agitation, so influential in fostering the act, and had personally helped shape the character of the legislation. It remained his proudest achievement in public life. In a vote of thanks Carson lauded “the zeal of assiduity of Mr. Morris, the personal sacrifices he made” on behalf of the inhabitants. The act did little, however, to ameliorate the plight of Newfoundlanders and the reformers decided to push for representative government. It had been listed as a desideratum in their submissions but had not been elaborated. Morris, fresh from his London experience, urged caution, compromise, and the need for unity of purpose. Like everybody else he was vague on the form a locally constituted authority should take. The act of 1824 provided a charter of incorporation for St John’s with powers to frame by-laws and levy rates by assessment. The threat of taxes split the reformers. Morris recommended that the assessment include proprietors and a tax be levied on the rental value of properties. He further proposed that the municipal council be elective, that all candidates have estates valued at £100 or more, and that the franchise be awarded to men with properties worth £10 freehold or £20 leasehold. Although a number of the town’s resident British merchants with substantial property had joined the reform committee in 1823, some of these led the opposition to the proposed mode of assessment. They claimed they were willing to pay their way but not in the manner Morris proposed. Despite Morris’s covert assurances to Chief Justice Richard Alexander Tucker* that he could resolve the differences within the committee the attempt to incorporate collapsed, a warning of things to come. Governor Cochrane concluded that elections were unwise and the idea of incorporation was abandoned. The reformers refocused on the campaign for a local legislature. When in London Morris had requested “some constitutional form of government to foster the internal resources of the country.” He countered arguments that the island could not afford it by citing colonial revenue statistics over the previous decade. But London ignored the committee’s vague representations for a legislature, offering instead precisely what they had urged Morris to protest in 1824, an appointed council. Morris perceived the need of a more developed case for constitutional government and prepared a pamphlet, Arguments to prove the policy and necessity of granting to Newfoundland a constitutional government (London, 1828). He conceded that a local assembly would be dominated by merchants but maintained that they would be Newfoundland residents committed to an integrated agricultural and maritime economy beneficial to all classes. It is impossible to measure what impact this pamphlet and others, with their fuzzy suggestions, sometimes preposterous statistics, and sanguine notions of Newfoundland development, had on London. Certainly Morris was becoming a familiar figure there. 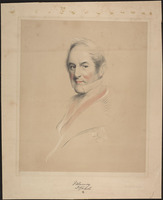 He had been the only Irish merchant recommended by Cochrane to sit on a proposed council in 1825, and when submitting another Morris memorial on the Irish to the Colonial Office in 1828 the governor noted that he was “a very respectable merchant and an influential person among the Roman Catholics of Newfoundland.” While visiting London in 1827 Morris had defended in print the state of Newfoundland society, religion, morals, and education recently impugned by the bishop of Chester. He was back in the spring of 1828 to attend a House of Commons debate on the Passenger Acts, and he presented a memorial on the subject to the colonial secretary based on his personal experience. By now his position as a leader among the reformers had been considerably diminished, however. He had moved to Waterford in 1826 and did not return to St John’s for five years. He was succeeded as principal Irish spokesman for reform there by his nephew John Kent. In Ireland Morris stepped on to a larger stage, transferring his expertise and reforming zeal to the struggle for Catholic emancipation and repeal of the union with Britain, although he maintained his political links with Newfoundland. Early in 1831, for example, he organized a petition of Waterford merchants for representative government in Newfoundland and was active on his return to St John’s that summer in the final push towards this goal. He was there when news of its achievement trickled through but he departed for Ireland in the summer of 1832 prior to the start of the election campaign. Six weeks later the ethno-religious harmony that had characterized the reform movement through the 1820s, and for which the conciliatory Morris was given much credit by both Protestant merchants and administrators, was shattered. John Kent declared his candidacy for St John’s district and was quickly embroiled in an overtly sectarian battle for power. In Ireland after 1826 Morris incorporated Newfoundland into the struggle for Catholic emancipation, presenting a donation to the cause on behalf of Newfoundlanders. He was a popular speaker and quickly advanced to a position of prominence in the movement. When emancipation was finally granted in 1829 Newfoundland’s conservative attorney general, James Simms*, attempted to block its extension to the island on constitutional grounds. A petition was drawn up in St John’s and sent to Morris with instructions to transmit it to Daniel O’Connell and the Marquis of Lansdowne for presentation to both houses of parliament. Morris concluded, correctly, that this action was unnecessary. Governor Cochrane had already contacted the Colonial Office for advice and the issue was speedily resolved. But the view of some Catholics in St John’s that Morris’s procedure was high-handed was an early sign of opposition within the Catholic community. Morris returned to live permanently in St John’s in 1833. During his short absence the political scene had been transformed. A “popular” Irish faction emerged during the elections of 1832, led by the militant new bishop, Michael Anthony Fleming, his priests, and some of the reformers, particularly Carson, Kent, and Doyle. They challenged the local bastions of Protestant privilege and were also at odds with more moderate, largely middle-class elements in the Catholic community. Morris was a moderate, even if six years in Ireland had probably hardened his stance on Catholic rights, but he had close personal and kinship ties with the leadership of the new “democratic” party. Doyle was probably his uncle by marriage, Kent was his nephew and protégé, and Carson was his mentor. The conservative opposition claimed that Morris had opposed Fleming’s appointment as bishop because of the latter’s hard line and that relations between them were strained. Unless he had altered his views dramatically Morris was bound to have reservations about some aspects of the bishop’s policy but loyalty to the church, political instinct, and intimate family ties ensured his support. Fleming’s sister was a close friend of Morris’s daughter, was godmother to his eldest son, and married John Kent early in 1834. Fleming, moreover, had heaped praise on Morris as president of the Benevolent Irish Society and was chairman of a committee honouring him prior to his departure for Ireland in 1832. And Morris was upset by criticism from a section of the Irish community over his handling of the petition on emancipation. Shortly after his arrival back in Newfoundland Morris cancelled his subscription to the St John’s Times and General Commercial Gazette. Its editor, John Williams McCoubrey*, a Waterford Presbyterian, had insulted Fleming and one of his priests, the fiery Edward Troy*. Two weeks later five priests recruited by Fleming in Ireland arrived on one of Morris’s ships and the bishop himself, with Sister Mary Bernard Kirwan* and three other nuns, docked at Morris’s wharf the following day. An address of welcome was delivered by Patrick Doyle, chairman of the Catholic committee of inhabitants, before a large, enthusiastic crowd and Carson provided his carriage to take the nuns to the episcopal residence. All the elements of the new party had been assembled for public display. A by-election of December 1833 reinforced the divisions within the Irish community. Carson, the reform candidate, was opposed by Tipperary merchant Timothy Hogan, an ally of Morris in the reform movement through the 1820s but a supporter of the moderate Catholic candidate against Kent and Carson in 1832. Morris helped organize Carson’s campaign. The battle for Irish support was bitter, with allegations that the clergy threatened to deny the sacraments to any Catholic who even traded with, let alone voted for, Hogan. He withdrew and later left the island, as did a number of his leading Irish supporters. 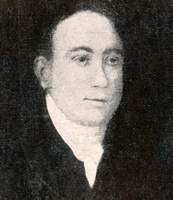 Henry David Winton*, editor of the Public Ledger, denounced the Fleming faction and troops were called in to disperse an angry crowd assembled before his house. At a public meeting the reform leaders, including Morris, accused the governor of reverting to despotic tactics to suppress civil liberties. Relations also worsened with the arrival in November 1833 of a new chief justice, Henry John Boulton*. Highly conservative, Boulton was determined to concentrate power in the hands of the colonial administration and the Protestant merchant class. He introduced various legal changes that provoked Morris and the reformers, but by far the most offensive to Morris personally was what he called an attempt “to sweep away every vestige of the laws that for centuries had regulated the trade and fisheries of the Island.” The judicature act of 1824 had confirmed an ancient custom giving servants prior rights to fish and oil for their wages in the event of a planter’s insolvency, and current suppliers prior claims over past creditors. Bolstered by mercantile support, Boulton arbitrarily set aside these and other rights and customs of the fishery. Morris claimed that as a merchant he could save £1,000 to £1,500 a year under the new credit arrangements “though my business was very much contracted.” Enraged by Boulton’s despotism and hostility to Irish Catholic aspirations, the reformers were determined to remove him. Morris searched the records of the Colonial Office to demonstrate the antiquity and pervasiveness of servants’ liens and the custom of current supply. Rooted in the law of bottomry, they had long been adapted by both French and English to the cod fishery. Merchants, planters, and servants were intimately bound, Morris argued, by ties of credit based on trust. A planter was more an agent than a debtor of the merchant; each spring he proceeded to a distant harbour with the merchant’s property and with servants bound to him and the merchant both. All parties were protected by the law of current supply. Boulton was profoundly ignorant of the subtleties of this system and of the distress and chaos he had caused amongst the fishermen by altering it. In 1838, Morris, by then a member of the assembly, would be part of a three-man delegation to London that at least secured Boulton’s removal from the bench. By the late 1830s the trade from Waterford in passengers and provisions was greatly reduced and Morris withdrew from it. He became increasingly involved in local politics as a champion of reform, forging strong links with the immigrant Irish in St John’s, particularly the more recent arrivals. They served as a public pressure group to help wring concessions from a recalcitrant administration. When in 1835 Boulton jailed Robert John Parsons*, editor of the Newfoundland Patriot, for contempt of court, Morris and Carson formed the Constitutional Society to obtain his release. All but 2 of the 13 members on the committee were Irish and among these were Morris, Doyle, Morris’s brother and nephew, and two other relatives. A petition was framed and dispatched to London with 5,000 signatures. It was the most impressive display of signed support for any Newfoundland cause to that time. Further pressure was brought to bear by a large crowd assembled outside the jail, some threatening violence. The Colonial Office ordered that Parsons be released, an event celebrated by a festive march of some 200 supporters led by Morris and the committee. Petitions, speeches, and colourful marches, sanctioned by the Catholic Church, had become standard tactics amongst the reformers but Morris insisted on constitutional protest, discouraged sectarianism, and opposed violence. By 1835 the last major migration of the Irish to St John’s had virtually run its course. The town was now dominated by immigrants, and they formed the backbone of Morris’s support. His long involvement in the passenger trade and as a merchant supplier meant he was at least known to most of them and as a fellow-immigrant from the southeast he shared cultural traditions. Morris cemented these ties through his activities with institutions and committees catering to the immigrants. As well as being president of the Benevolent Irish Society, he was president of the Committee for the Relief of Distress, member of the Board of Directors for the Relief of Disabled Seamen and Fishermen, and vice-president of the St John’s Association of Fishermen and Shoremen. It came as no surprise that Morris, Kent, and Carson swept St John’s in the general elections of 1836 and 1837. The campaign in St John’s had been marred by sectarian tension, intimidation, and the threat of violence. Following a particularly provocative march of some 300 through the streets of the town, Morris and his clique, including several priests, were charged with unlawful assembly. The charges were later dismissed by a Protestant jury. Nine of the fifteen seats in the second House of Assembly were held by Catholics, and a tenth reformer, Carson, was elected speaker. Morris quickly emerged as an especially active member. He flooded the house with petitions signed by hundreds of his constituents for roads, bridges, land grants, public wharfs, and other improvements. He requested money for minor officials such as constables, some retired, others in distress. A considerable minority of the petitioners were poor Protestants, a group Morris had pledged to represent in his election campaign. He chaired committees examining the state of fishing, farming, and the administration of justice and wrote reports on these subjects which were printed by the house. As a delegate in London in 1838 – his first time there as a politician – Morris pressed for some of his favourite causes: the removal of restrictions on agriculture, a less expensive policy of crown land grants under the control of the assembly, money for roads and bridges, bounties for the fishery, concurrent rights on the French Shore, and a legislative branch in Council elected by the assembly or the amalgamation of both houses. As in the past, however, most of these requests were denied or deferred. In Newfoundland the Protestant Council and merchants were strongly opposed to the assembly and resisted reform. They regarded the liberal politicians as factious demagogues ruled by a power-hungry and militant clergy, “ignorant, besotted Catholics from the southwest of Ireland . . . so bound by the magic spell of Popery they are quite incapable of properly exercising political power.” Morris was eloquent in the assembly’s defence. He dismissed charges of disloyalty, lawlessness, danger to property, and Catholic supremacy, and defended stoutly the accomplishments of the second assembly, particularly its record of road construction, repeal of acts imposing taxes on the importation of vital fresh food, and fiscal responsibility. Much more would have been achieved, he maintained, had it not been for the trenchant opposition of Council. Although Governor Henry Prescott* had his reservations about the reformers he agreed with the last point. In an attempt to improve the disposition of Council he suggested the appointment of two members from the House of Assembly, Morris and Doyle. The Colonial Office expressed concern, however, over the precise role such members would play in communications between the governor and the house, and the appointments were not made. Early in 1840 Morris finally secured his reward for two decades of public service: the office of colonial treasurer, which carried with it a salary of £400 a year, the highest in government, and a seat in Council. The appointment drew a flood of comment from the local press. McCoubrey denounced it in the Times, as did Winton in the Public Ledger. Parsons of the liberal Patriot praised Morris for his perseverance, firmness, integrity, and judgement, but pointed out that he would have to vacate his seat in the assembly. This Morris refused to do, causing a split in the reform ranks. Led by a jealous Carson, who ridiculed Morris in the Newfoundlander, the lower house expelled the new colonial treasurer. The rift widened with the subsequent by-election in May 1840: James Douglas*, a liberal Scottish merchant and close ally of Morris, was nominated by him and received virtually unanimous support from the reformers. But a week before the election Bishop Fleming persuaded Laurence O’Brien*, a protégé and cousin of Morris and now a merchant, to run. Disillusioned with the political process, the Protestant merchants did not even name a candidate so the election developed mainly as a contest between the reform factions within the Irish community. Douglas retained the support of Morris, Doyle, and many moderate, respectable Catholics, despite Fleming’s alleged assertion that a vote for O’Brien was a vote for the church. O’Brien won narrowly after a turbulent campaign. The strong support for Douglas was hailed by both the liberal and the conservative press as a sign that the hegemony over political life of the Catholic Church, with its largely Irish immigrant following, could be broken. During the election some native residents, representing a group now rapidly expanding in the town, established a society to work for orderly progress through unity. It was interdenominational and was supported by Morris and Doyle, a native. This stance isolated them further from the rest of the family, who supported Fleming and his faction. The Fleming group sensed a new party that would eventually displace them. 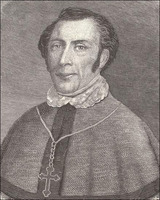 The bishop had agreed to act as a security for Morris as colonial treasurer but now changed his mind, claiming the construction of the cathedral had drained his financial resources. Morris infuriated him with a public statement in the Patriot that this claim was not true. O’Brien replaced Morris as president of the Benevolent Irish Society and the Patriot, with which Morris was associated, was replaced by a new journal, the Newfoundland Vindicator, as printer for the house. But when in 1841 Morris was accused of speculating with treasury funds the family quickly closed ranks and the Vindicator sprang to his defence. Cash advances had been deposited quarterly in the local bank of which Morris was governor and cashier and his nephew and former mercantile agent, Edward Morris, was manager. While Morris took a short leave of absence that summer, the acting treasurer refused to follow this practice, placing the funds instead in the commissariat. He argued that the bank was really a trading company and the money was unsafe there. A meeting between Carson, Kent, Doyle, and the governor resolved the issue in Morris’s favour but his management of the treasury surfaced later as a major controversy. Morris availed himself fully of his seat on Council to press for reform. He continued to present petitions from artisans, fishermen, and farmers and also introduced bills submitted by his political allies in the lower house. Despite his long speeches and even another pamphlet, Council was generally unbending. Not all of Morris’s positions were popular. He supported a militia bill despite 8,000 signatures opposing it and sided with government in directing substantial funds for fire victims toward reconstruction of the Anglican church and the custom-house, court-house, and jail. But he was also active in collecting funds for the relief of famine victims in his homeland. Throughout his long political career Morris championed the rights of the poor and disadvantaged. But like all successful merchants he developed and maintained a strong sense of social class. His second wife was the daughter of a well-to-do doctor in Cork. Morris could be patronizing about “the lower orders,” especially the propertyless poor of St John’s. He was much more concerned with the political advancement of the Catholic middle class. He was untroubled by criticism that a Newfoundland house of assembly would be the preserve of the merchants, arguing that it was very much in the mercantile interest to support all classes. In Ireland he had the opportunity to indulge in bourgeois display. He invited, for example, 250 “ladies and gentlemen of the first rank and respectability in Cork City” to a “sumptuous dinner” and dance aboard one of his new vessels on the king’s birthday in 1829. Shortly afterwards he acquired a handsome villa with 100 acres downstream from Waterford. Morris also made use of institutions such as the Benevolent Irish Society to promote his ambitions and promulgate his views. 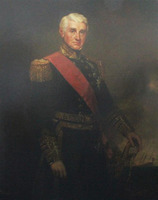 An original member in 1806, he joined Doyle on a committee in 1815 and was entrusted with the management of the society’s property and finances. By 1823 over £7,000 had been collected locally, a sign of growing Irish responsibility which Morris was proud to report to the governor. He succeeded as president, likely in 1824, and held this office for most of the remainder of his life. Like his predecessor, James MacBraire*, Morris was a popular president, treading his way delicately, if not always successfully, through the thicket of conflicts that beset the Irish community, and the society. He was also a generous donor. Restless energy, driving ambition, and business acumen enabled Morris to overcome ordinary origins and succeed in an intensely competitive world dominated by Protestant British merchants. This goal could not have been achieved alone. He began in an ethnically focused trade under the tutelage of friends and kin from home. Eventually he became the head of a political and commercial clan probably unprecedented amongst the immigrant Irish in British North America. A dozen of his kinsmen were merchants and agents in St John’s alone. Six had been elected to the House of Assembly by 1842; five were appointed to Council, virtually the only Catholics to be so honoured up to 1858, and two became presidents of that body. They dominated the presidency of the Benevolent Irish Society for close to half a century. John Kent was elected speaker in the assembly, then prime minister. The temperamental Morris fought publicly with most of this clan but they invariably rallied to his cause in a crisis. More important, they provided a network within the Irish community in St John’s and the Avalon peninsula that lay at the base of Morris’s mercantile and political enterprise. For close to 30 years Patrick Morris was acknowledged as the leading Irish layman in what had become a major centre of Irish settlement. Parsons wrote in the Patriot, “He was held in high esteem by persons of all classes, creeds and diversities of political opinion.” Even an old political foe, McCoubrey of the Times, lauded his honesty, sincerity, and compassion. As his funeral passed the Anglican church, the bell sounded its tribute to a long-respected friend. Patrick Morris’s publications include Observations on the government, trade, fisheries and agriculture of Newfoundland . . . by an inhabitant of the colony (London, 1824); Remarks on the state of society, religion, morals, and education at Newfoundland . . . (London, 1827); Arguments to prove the policy and necessity of granting to Newfoundland a constitutional government . . . (London, 1828); Six letters intended to prove that the repeal of the Act of Union and the establishment of a local legislature in Ireland, are necessary to cement the connection with Great Britain (Waterford, [Republic of Ire. ], 1831); and “Memorial of Patrick Morris, esq., to the Right Honourable Lord Glenelg, her majesty’s principal secretary of state for the colonies,” published in Nfld., House of Assembly, Journal, 1838 (2nd session), app. : 87–105. Several additional pamphlets by Morris are listed in Bibliography of Newfoundland, comp. 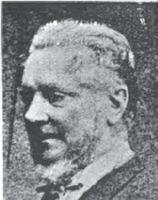 A. C. O’Dea, ed. Anne Alexander (2v., Toronto, 1986). Cathedral of the Immaculate Conception (Harbour Grace, Nfld. ), Reg. of marriages, 26 April 1814. PANL, GN 2/1, 47: 365–66, 372, 375; GN 2/2, 1826, 1832; GN 5/2. PRO, CO 194/68, 194/76–77, 194/133, 194/137. Nfld., House of Assembly, Journal, 1837, app. : 225–28. Lloyd’s List (London). Newfoundlander, esp. 23 Aug. 1849. Newfoundland Mercantile Journal. Newfoundland Patriot. Newfoundland Vindicator (St John’s). Patriot & Terra Nova Herald, esp. 25 Aug. 1849. Public Ledger. Royal Gazette and Newfoundland Advertiser. Times and General Commercial Gazette (St John’s). Waterford Mirror (Waterford). The register of shipping (London). Gunn, Political hist. of Nfld. John Mannion, “Patrick Morris and Newfoundland Irish immigration,” Talamh an Eisc: Canadian and Irish essays, ed. 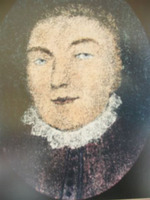 C. J. Byrne and M. [R.] Harry (Halifax, 1986), 180–202. John Mannion, “MORRIS, PATRICK,” in Dictionary of Canadian Biography, vol. 7, University of Toronto/Université Laval, 2003–, accessed April 24, 2019, http://www.biographi.ca/en/bio/morris_patrick_7E.html.